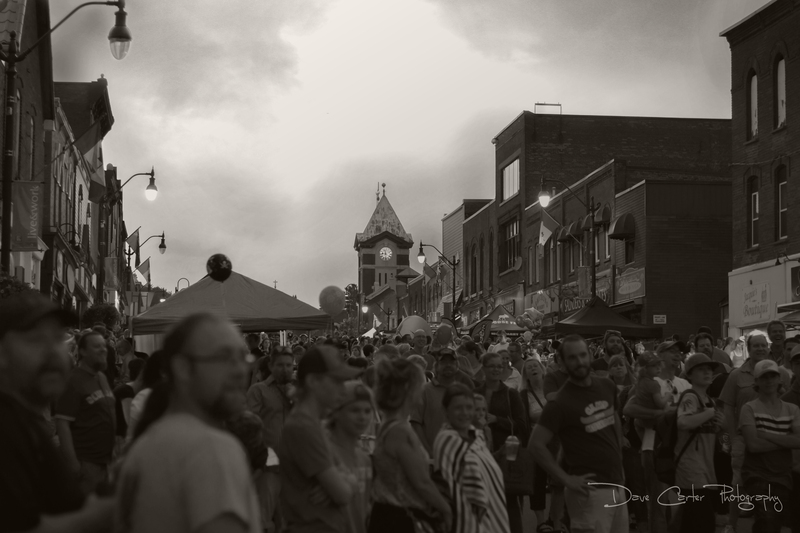 Snapped this street shot in downtown Bracebridge during the Midnight Madness Street Festival. Kids, dogs, buskers and lots of interesting people to boot, I mean shoot!! After enlarging this image, I wondered what they were all happily looking at? I’m glad you noticed that LB. I was trying to capture, in a way, how we get distracted from life while time ticks away. The clock tower at the back in focus and the laughing crowd oblivious to time. Aw-huh…Oh well, so much for my philosophical photography, ha! Actually they are laughing at a poor soul who is about to get dunked into a vat of cold water by the toss of a baseball against a target. The person throwing can’t miss because she was standing only a few feet away…but this sweet lady shot so many times and missed…we all thought it was part of the act. I just happened to be at the right spot.